How Far is Jewel Heights? Our other completed project is Jewel Heights and is situated in Kharghar, Navi Mumbai. It measures 20,000 sq. ft. and houses 19 flats and 2 commercial shops. 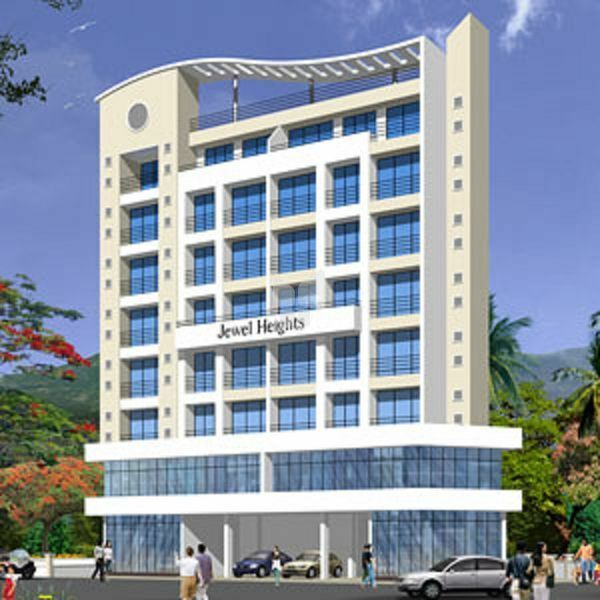 Jewel Heights is an impressive edifice located conveniently on the Mumbai – Pune expressway and today is considered one of the landmarks in Kharghar. The Jewel Realty Group is in the business of real estate development and the construction of dream homes for people. It has been founded over fifteen years ago by Mr. HareshJ.Thadeshwar (Chairman) along with his family comprising of his sons Mr. Pratik H.Thadeshwar (Managing Director) and Mr. Kushal H.Thadeshwar (Architect/Director) and his wife Mrs. Jayshree H. Thadeshwar (Director). Since the beginning, the Jewel Realty Group has not partnered with any company and/or any individual. It is the sole enterprise of Mr. HareshThadeshwar and his family. Today, it has grown to become a major player in Mumbai's real estate market. It is supported by its three sister concern firms, namely PK Enterprises, PK Developers and Jewel Developers which believe in constructing not just apartments for people but using the best possible construction quality and providing unparalleled personal services to make the customer believe that their home is truly a "jewel".